Anyone can make art. Finding one's spiritual center can come of making art. Making art can come of finding one's spiritual center. Nancy Azara has been teaching the making of art, art-making as a spiritual practice, and other spiritual practices for thirty-five years. She has developed a system that combines her lifelong spiritual practice with techniques designed to help anyone get and stay in touch with their own inner artistic souls. Spirit Taking Form is a practical book. It offers lists of materials to work with and exercises and meditation techniques to help everyone bring out their inner voice. It includes specific meditations for healing the inner critic, cultivating imagination, and finding one's artistic heart. Its meditations and exercises can be done many times, and each time they can bring the reader new and richer experiences and deeper insights. Throughout the book Azara shares her own story and the inspirations that have made her a successful artist. Using an old Sicilian folk tale taught to her by her grandfather, she has always sought to look at life with one eye open out to the world and the other closed, or turned inward. It is this skill more than any other that she seeks to engender in the reader through exercises such as "The Visual Diary." Learning and teaching about art from a place of spirit calls us to a challenge, a challenge to look at something very familiar, yet distant and remote. 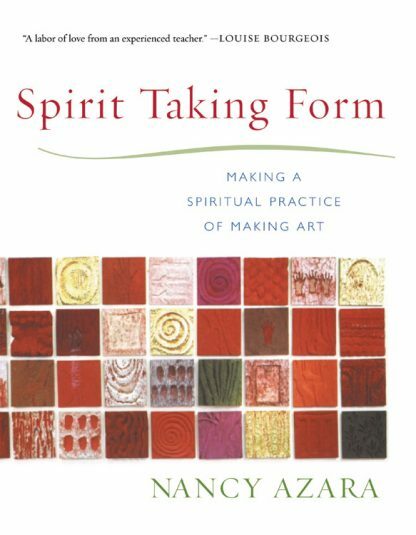 Spirit Taking Form offers insight into artistic expression and how it can be applied to life as a catalyst for growth, change, and expression. Nancy Azara is a working artist who has been teaching for thirty-five years. She came of age as an artist and a woman during the feminist movement of the 1960s. In the process, she began a lifelong spiritual practice that led her to teach and do psychic healing circles. In Spirit Taking Form, her first book, she combines the two.